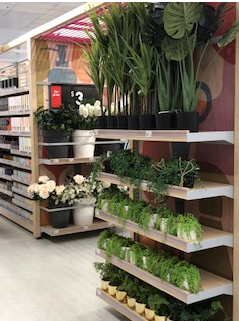 Customers can now enjoy a new kind of shopping experience since Kmart re-opened its doors to Gladstone at the beginning of March. The revamped store layout showcases Kmart’s irresistibly low-priced everyday items, in easy to shop product worlds across; kids, clothing and home. Noticeable updates include wider aisles and bolder graphics, making navigation around the store much easier. There will also be updates to lighting systems, fixtures, fitting rooms and self-serve checkouts, as well as a brand-new photo processing, entertainment and layby counter, which will make access to these services much easier and more convenient. Matthew Ware, Kmart Gladstone store manager told Gladstone News, “We want all our Kmart customers to have a really positive shopping experience when they visit us, and we are on a mission to make their everyday living brighter,” Mr Ware said. “We will do this by making shopping more convenient, in locations that are more accessible to more people. The new Kmart Gladstone layout is a reflection of this commitment,” he added. Each area of the store has its own distinct look and feel, brought to life with coordinated product offers and exceptional visual merchandising. The Home world is filled with warm, earthy tones and wooden shelves; the Kids world has bright colours and graphics, and the Clothing world features bold multicolour panels. Self-serve and central checkout registers make shopping more convenient, ensuring store entrances are free of queues and clutter, and allowing customers to enter and exit with ease. Customers will always be welcomed into the store with a friendly store greeter.